NASHVILLE – Tennessee Gov. Bill Haslam and Tennessee Department of Transportation (TDOT) Commissioner John Schroer today announced Safe Routes to School funding for the Town of Woodbury totaling $223,250 for improvements near a local elementary school. 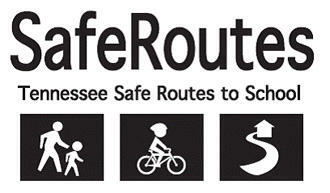 The Safe Routes to School Program is a statewide initiative designed to make bicycling and walking to school a safer, more appealing and healthier alternative for students in kindergarten through eighth grade. Woodbury will utilize the Safe Routes to School funds to construct over 1700 linear feet of sidewalks near Woodbury Grammar School. Funds will also be used to launch a safety education program and promotional activities designed to encourage walking and bicycling as a safe and healthy alternative. The grant is made possible through a federally funded program administered by the Tennessee Department of Transportation. This year, TDOT provided more than $1.6 million in Safe Routes to School funds to 10 municipalities for projects across the state. State Sen. Mae Beavers (R-Mt. Juliet) and State Rep. Mark Pody (R-Lebanon) represent Cannon County in the Tennessee General Assembly. Is woodbury Grammer the Only school in Woodbury? Everytime it seems we as Cannon County/Woodbury gets any grants/$$$ for scholls it benefits only Woodbury Grammer. Such as the Clinic, Reach, New School etc. You are complaining about a $223,250 grant for Cannon County because it helps Woodbury Grammar build some sidewalks? Did you not read the part about education to all the kids of Cannon County? Did you ever think how kids all over the county ride their bikes in the summer even when school is not in session? How many kids do you know riding their bicycle down Jim Cummings Highway to Woodland? How many kids do you know riding their bicycle down Auburntown road to school? And just so you know there was mention of Auburntown school receiving a grant in the Cannon County Commissioners meeting last week, so no it is not always about Woodbury Grammar all the time it is about the children of our community. By the way, REACH has children attend from every school in the county and Woodbury Grammar was the oldest school in the county before the new one was built and was to the point it was about to be condemned. I also recollect every other school in the county having additions built on to their school as well. I bet you don't like cold ice cream do you? It does seem Woodbury Grammar is the only school in the district. You were thinking the same thing I was cuntry. There are other schools that need the money more than Woodbury Grammar. Does not Woodbury Grammar have the newest building? Yes they have a large population, but the other schools need care and attention too. Galaxy the only care and attention the other schools need is a wrecking ball! Too bad grant money can't be used towards new construction! Sometimes I really wonder about people and the lack of knowledge they possess and this is one of those times. The is free money. This money goes toward education, construction and will help local government and parents understand about the safety of our children while riding a bicycle. AND IT IS FREE! Why would anyone complain? When applied for it was NOT under the pretense it helped only Woodbury Grammar school or any other school for that matter and to make that assumption is beyond stupid in my opinion. It benefits ALL the kids in our county and ALL of the parents in our county. To say otherwise or to think otherwise is just flat wrong. Every school system in the county gets equal amounst of money out of the school budget that is paid for by tax dollars. If people would take 5 minutes of their time and actually read and understand what is actually going on then they wouldn't make statements like "Is Woodbury Grammar the only school in Woodbury?" By the way, Woodbury Grammar is the only school in Woodbury. The rest are in the county. Corey, I know all the money is not coming from the taxpayers of Woodbury or Cannon County, but it is all coming from taxpayers somewhere, so it is not "free" as would be the case if it came from some benevolent benefactor. When I meant free I meant that it did not have to be paid back. Nothing is completely free and I understood it was from tax payer monies. I just don't get the idea of complaining about money that was give to us because Woodbury Grammar will be getting some new sidewalks out of the deal. There is a whole lot more in life and in this county worth complaining about than us receiving almost a quarter of a million dollars that we don't have to pay back. Corey, it is the process I wonder about, not the grant. I don't think it would put too great of a strain on the taxpayers of the Town of Woodbury to raise $223,000 to make the routes to Woodbury Grammar School safer. In one sense the money does not have to be paid back, but in another it does. I say that because in making a determination of who I will vote for to be president this year, I am guided by the information I see at the Web site US Debt Clock.org (http://www.usdebtclock.org/). It currently shows a total debt of over $15 trillion and each person's individual debt as being almost $49,000. That's just short of two years worth of work for me. The money for this Safe Routes grant is trickling down through a national program. I'm not saying turn the grant down, I just don't see how the nation can afford it. I guess I should just be thankful to the citizens of China for loaning us the money to make the school children of Woodbury safer and healthier. I agree that it is not the way I would spend $223,000. However, it is one of those things if we don't take it and use it then someone else will. So as bad as I think we need the money to use on something else, I am not going to complain about getting it or using it. Would I prefer that Cannon County was given $223,000 to spend on our roads, building a community center that actually was used, build an industrial site that actually made sense and would attract business or something that would create jobs the answer is yes. Will I complain because we have to use it for sidewalks and education for riding bicycles and teaching our kids about safety the answer is no. I agree that Woodbury Grammar School does seem to receive the majority of money/grants.Maybe the money should be split up among the schools. And Corey, maybe children who go to Woodland or Auburntown or any other school for that matter might be able to ride their bicycles or walk to school if they had sidewalks as well. The money does not go to the school, or to the school system, so it can not be "split up." The money goes to the Town of Woodbury, which does not have a school system. At times it is like talking to a fence post. Every school has the ability to apply for grants. Every school has that responsibility. Every school should have someone looking for grants. If they don't then it is their own fault if they don't receive grant money. If you are zoned for Auburntown and you live near the Auburntown bridge I don't know of any responsible parent that would let their child ride a bicycle to school that far no matter how many sidewalks were built around Auburntown school. To say they would ride more is really kind of ridiculous! You guys are comparing apples to oranges and the location of every school with the exception of Woodbury Grammar does not make it feasible for a sidewalk to be built for kids to ride their bicycles to school. This has really gone beyond the point of even commenting about. It's easier and a lot more fun to complain than to write a grant for positive change, but someone saw a need and actually did something about it. My hat's off to you.